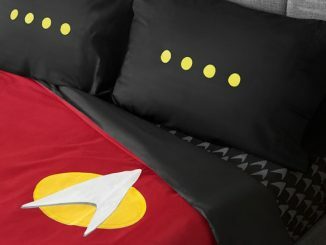 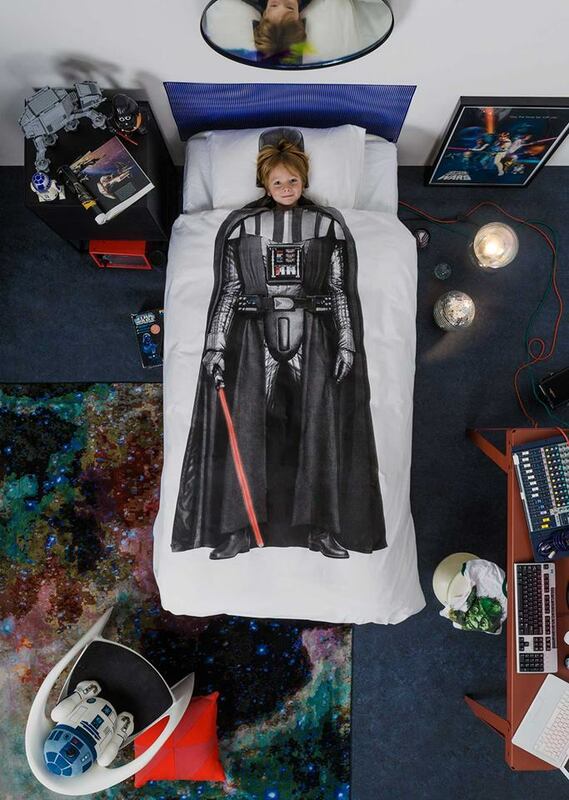 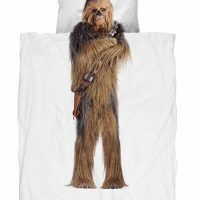 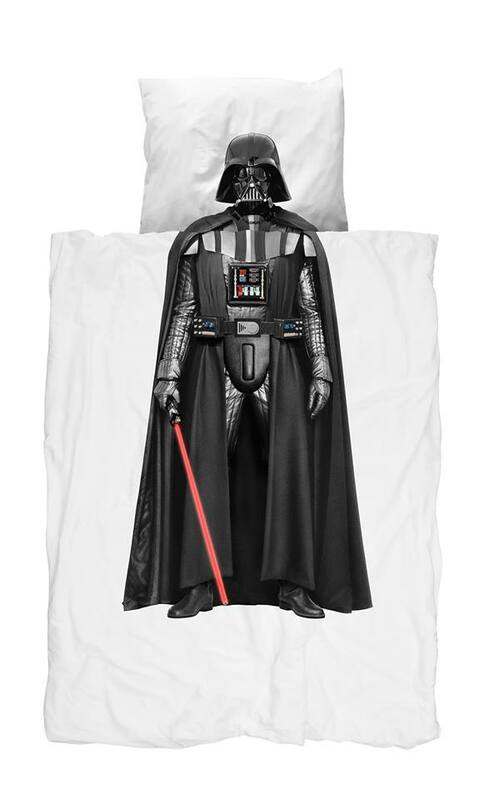 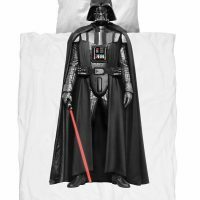 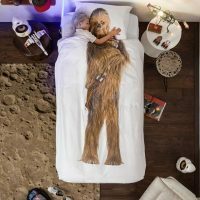 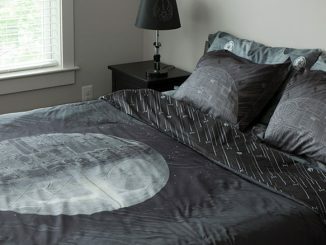 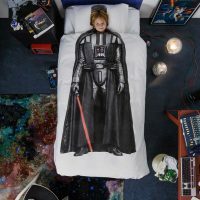 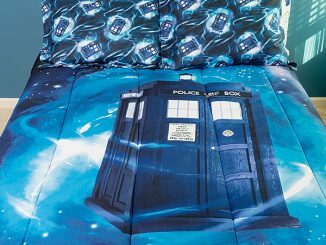 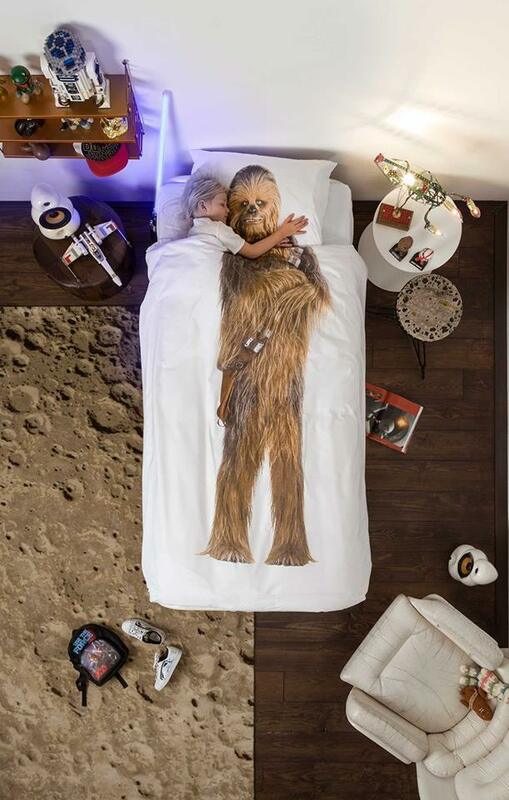 If you crave sleeping with a Sith Lord or a Wookiee, the J. Kids’ Snurk Star Wars Bedding provides the duvet cover and pillowcase you’re looking for. 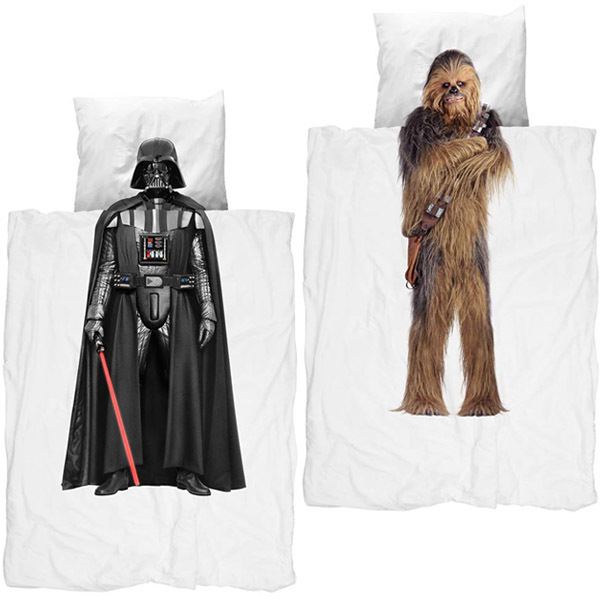 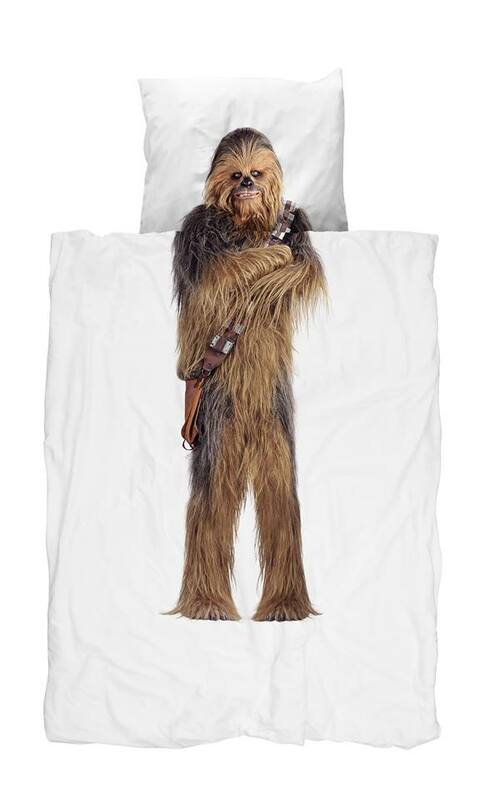 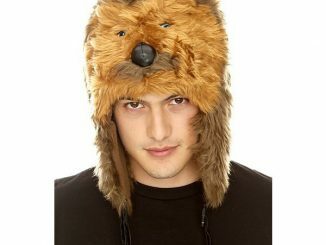 Made exclusively for JCrew and only available online, this twin-sized cotton bedding brings Chewbacca and Darth Vader to bed with you, providing a cool illusion when you slide under the cover, giving the impression that you’re actually the character under the mask (or fur)… or like the picture shows below, you can drift off to sleep while giving Chewie a hug. 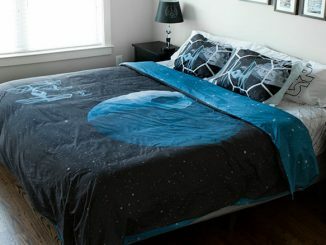 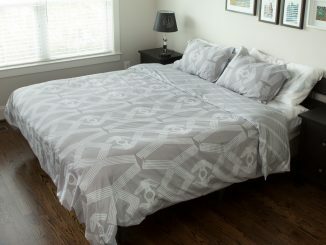 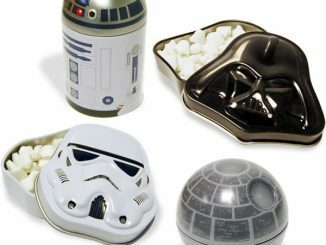 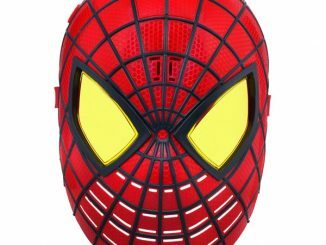 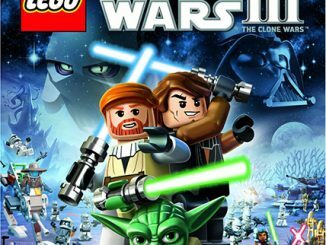 The J. Kids’ Snurk Star Wars Bedding is available for $90 per set at JCrew.com.